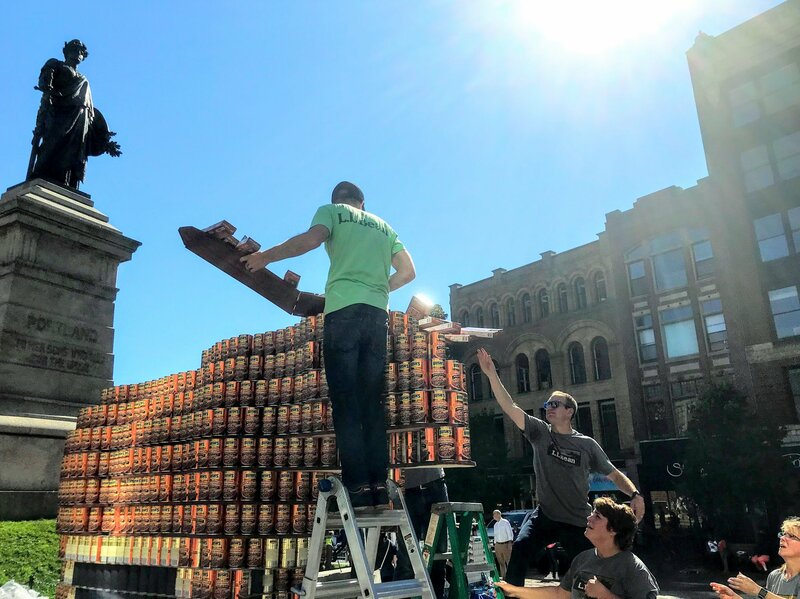 The food collected for the sculptures and from other event attendees was donated to Wayside Food Programs–one of United Way of Greater Portland’s Funded Community Partners–to be distributed to food pantries throughout Cumberland County. “More than 37,340 people in Cumberland County are food insecure — often not because food is unavailable, but because access to that food is restricted, most often by limited income. Some people are hungry because they get sick or injured, or a spouse or parent dies, or they lose their job or are unable to work ,” said Ann Dalton, Board Chair of United Way of Greater Portland. 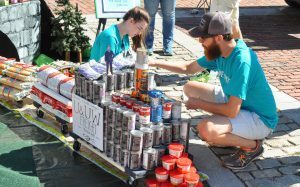 With the help of six judges and a community choice vote, awards were given to four sculpture teams. 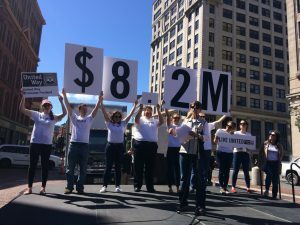 At the event Deanna Sherman, 2018 Campaign Vice-Chair and President and CEO of Dead River Company, announced an $8,200,000 goal for this year’s community fundraising campaign with the help of nine Loaned Executives. 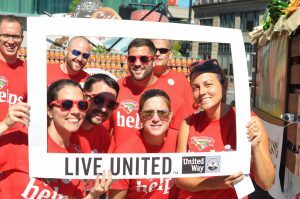 The Loaned Executives from BerryDunn, Gorham Savings Bank, Hannaford, L.L.Bean, MaineHealth, Unum, and WEX work with United Way for nine weeks to help execute the campaign. 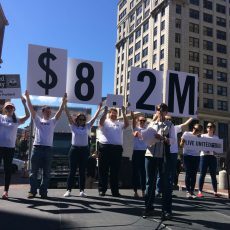 In addition, Sherman announced that thanks to three-year commitments from Dead River Company, IDEXX, MEMIC, and WEX, and a match from the John T. Gorman Foundation, new contributions to support United Way of Greater Portland’s Thrive2027 efforts will be matched up to $200,000. There are many ways you can get involved in the fight against hunger. You can provide food and monetary donations, volunteer your time at a food bank, and advocate for the cause. To donate or to find your local food bank, visit Feeding America today.